Location intelligence software, also called spatial intelligence software, is a business intelligence solution that analyzes map and spatial data to identify the relationship between certain objects based on their physical locations. Location intelligence tools enable users to see trends on maps and graphics to optimize certain business opportunities. Users are able to derive patterns and trends with the help of such features as density analysis, distance and travel data, and geospatial mapping for determining terrain, among other features. Location intelligence solutions are mainly utilized by data scientists and analysts who can pull out business insights from the tools. For example, analysts may use location intelligence software to find the ideal location for a new warehouse that can more quickly transport goods to nearby stores or decide exactly where a new restaurant chain should open up due to increased demand in the area, among other use cases. These products may be implemented as part of a bigger business intelligence initiative, alongside business intelligence platforms or self-service business intelligence tools. Location intelligence software may have similar functionality as GIS software; however, it differentiates in the fact that it can consume big datasets in real time instead of providing a historical snapshot of geospatial data. Additionally, location intelligence software is utilized by data analysts and scientists, as opposed to surveyors and engineers. Location Intelligence reviews by real, verified users. Find unbiased ratings on user satisfaction, features, and price based on the most reviews available anywhere. 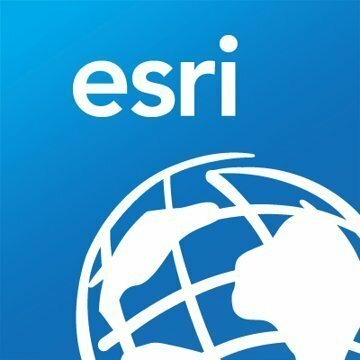 Connect people, locations, and data using interactive maps created with ArcGIS Online. Quickly create maps by dropping in your spreadsheet and mashing it up with other location data included in ArcGIS Online. Apply Smart Mapping styles to make your data visually stunning and use intuitive analysis tools to deliver location intelligence. Add valuable context to your data by combining it with Esri’s demographic and lifestyle data. Work collaboratively with your colleagues to build maps and apps. Instantly share your maps and apps with anyone, anywhere. Thousands of organizations and millions of users have proven ArcGIS Online to be a scalable and secure software-as-a-service hosted by Esri. ArcGIS is a comprehensive suite of mapping and location intelligence tools and capabilities. 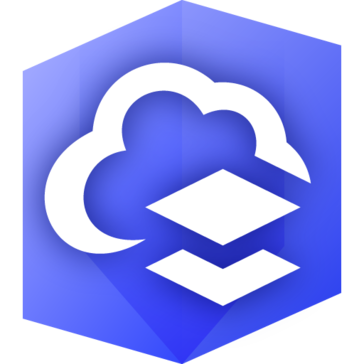 ArcGIS can be deployed on local machines (ArcGIS Pro), on your remote or on-premises servers (ArcGIS Enterprise), or as SaaS hosted by Esri (ArcGIS Online). ArcGIS includes focused apps to deliver complete solutions for your business or organization. Along with software, Esri provides a comprehensive collection of data and content to geo-enrich your own data. ArcGIS also provides rich software development tools for you to configure and create your own mapping and location intelligence products. The CARTO platform empowers everyone, from business analysts to data scientists, to turn location data into business outcomes. Our open, cloud software offers visual insights on where things happen, why they happen and predict what will happen in the future. We accelerate innovation, find efficiencies, power new use cases and disrupt business models through the use of Location Intelligence. CARTO combines spatial and temporal data to power business outcomes. Location data is increasingly powering our personal and work lives. It is changing entire industries and the way companies do business. There is a movement to make location data business critical. We are at the forefront of that movement. We help businesses turn location data into better behavioral marketing, optimized delivery routes, strategic store placements and maximized assets. Alteryx, Inc. is a leader in self-service data analytics. Alteryx Analytics provides analysts with the unique ability to easily prep, blend, and analyze all of their data using a repeatable workflow, then deploy and share analytics at scale for deeper insights in hours, not weeks. Analysts love the Alteryx Analytics platform because they can connect to and cleanse data from data warehouses, cloud applications, spreadsheets, and other sources, easily join this data together, then perform analytics – predictive, statistical, and spatial – using the same intuitive user interface, without writing any code. Thousands of companies and data analysts worldwide rely on Alteryx daily. Collector for ArcGIS puts mapping in the hands of your field workforce to improve the accuracy and currency of your spatial data and make more timely and informed decisions. ArcGIS Business Analyst helps you make smarter market planning, site selection, and customer segmentation decisions by combining demographic, lifestyle, behavioral, and spending data, maps and reports with location-driven analytics. - Identify the under-performing markets. - Pinpoint the right growth sites. - Find where your target customers live. - Share the market research across your organization. Part of Esri's ArcGIS platform, Business Analyst comes with spatial analysis tools and global data that cover over 90% of the world’s population in 135+ countries with 15,000+ variables on market data. Generate your market research with beautiful site maps and 40+ pre-formatted reports. Part of the Esri Geospatial Cloud, ArcGIS Pro is Esri’s powerful, single desktop GIS application. Technologically ahead of everything else on the market, ArcGIS Pro supports data visualization, advanced analysis and authoritative data maintenance in both 2D and 3D. ArcGIS Pro is tightly coupled with the ArcGIS platform supporting data sharing across ArcGIS Online and ArcGIS Enterprise through Web GIS. AmigoCloud is a geospatial platform that helps businesses to collect, manage, analyze, visualize, and publish their location data. Manage, map, analyze, and share Geographic Information Systems (GIS) data with ArcGIS Enterprise, the complete geospatial system that powers your data-driven decisions. ArcGIS Enterprise gives you a secure, browser-based mapping and analytics platform that leverages Esri’s powerful technology and extends your capabilities in the areas of real-time, big data, imagery, and more. Clara is an AI-driven Assistant that maps, targets, and measures the offline consumer journey. CleverAnalytics answers comprehensive, location-related, business questions with the ease of reading a map. It is the only cloud-based business mapping platform that translates your business intelligence data into real meaning by visualizing it in an intuitive context-first map. It combines location-based data to provide customer intelligence and insights for geo mapping, geomarketing, location planning, network optimization, competitor analysis, and customer loyalty tracking. CleverAnalytics monetizes its customers data by revealing new business opportunities and increasing the effectiveness of operations and campaigns. It also democratizes data without bringing the enterprise anarchy. Connected2Fiber's software helps network operators sell more, faster. The platform visualizes assets with internal location and market data in a single, simple platform accessible to the entire sales organization. Targeting improves, decisions accelerate and availability is shared seamlessly in a trusted, secure environment. DB-IP provides all the information of the Free IP geolocation API and adds detailed location data. High accuracy location data with blockchain-proven transparency. Geoblink is the Location Intelligence platform that helps professionals from the retail, real estate, and FMCG industries understand how location affects the performance of their businesses. Its advanced data analytics and predictive statistics empower companies to perform in-depth market research, so they can make informed decisions about their strategies. The valuable insights obtained from these analyses are instantly displayed on a map-centric interface that is easy to navigate and understand. This competitive business intelligence is used to maximise the efficiency of store networks, perform accurate sales forecasts, revamp marketing mixes and spearhead expansion plans. GeoMoby provides indoor and outdoor geofencing solution for the mobile applications. Geo Targetly enables users to create geolocation based redirects, links, content, images, popups & more. Hivemapper is modern mapping infrastructure. Hivemapper provides mapping, visualization, and analytic tools—for humans and machines alike—that uncover changes humans can’t see. Our machine vision powered mapping tools help forward thinking businesses and organizations build and visualize smarter living maps. iHound is a leading innovator in GPS Technology for high value asset, equipment and workforce tracking. IPinfo is a reliable, accurate, and in-depth source of IP address data. Magnify is a powerful, easy to use and economical data visualization tool that is designed to address the demands of today’s rapidly changing demographic landscape. It merges current and relevant demographic information with contemporary mapping capabilities. Magnify not only delivers accurate geo-demographic insights for the US and Canada, but also saves you time and money. MAPCITE Enterprise provides a feature rich environment for the visualization of large datasets. Data can be uploaded through CSV files but also by connection to other Sql Server databases. This simplifies the ingestion of larger datasets. MAPCITE Enterprise (Big Data) also includes additional algorithms to assist in the visualization of very large datasets. MapLarge provides a cloud based platform for big data analytics and visualization. Our proprietary technology allows us to map more data than anyone else. PlaceIQ is a leading data and technology provider that powers critical business and marketing decisions with location data, analytics and insights. 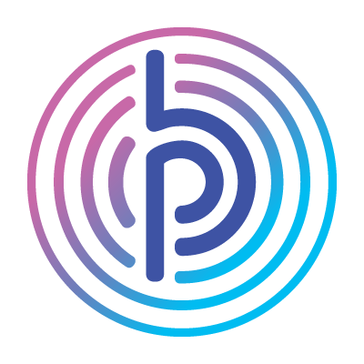 Ubimo is an advertising platform that enables mobile marketers to plan, execute, optimize, and analyze mobile strategies.Polaris is the first enterprise location intelligence platform that offers you control and flexibility. Software suite that helps small analytics teams analyze and manage localized data, produce coverage maps and reports. Thermopylae Sciences offers a full suite of IT services and specializes in developing leading-edge geospatial, cloud, and mobile solutions. Vista by UberMedia is a powerful insight-as-a-service platform, providing mobile location data, analytics, and media measurement for businesses of all sizes to better understand and capitalize on the behaviors of their consumers and the performance of their competitors. Hi there! Can I help you find the best Location Intelligence solutions?